Pitchers and catchers were joined by position players, which meant the next step in the progression toward the 2011 season was to play some Spring Training games. You can put a big check mark by that one as well. Spring is in full swing. Now that baseball is back, it’s fun to get caught up in the excitement of the teams in uniform and taking the field with all their new pieces for the first time this year. However, there is a flip-side to that coin. Injury. The St. Louis Cardinals found out first hand when ace right-hander and perennial Cy Young contender Adam Wainwright was lost for the season after tearing the ulnar collateral ligament in his pitching elbow. It was the latest in a string of events and stories that haven’t exactly instilled confidence in Red Birds camp. With the fallout from tabling their very public contract negotiations with superstar first baseman Albert Pujols still echoing around camp, the injury to Wainwright only serves to further dampen the Cardinals spirits. While there’s never a good time, no club wants to have to address a major injury before the season even begins. And there is no way around the fact that this one, quite literally, hurts. Wainwright will undergo Tommy John surgery on Monday and miss 12 to 18 months, wiping him from the Cardinals rotation for at least one full season. 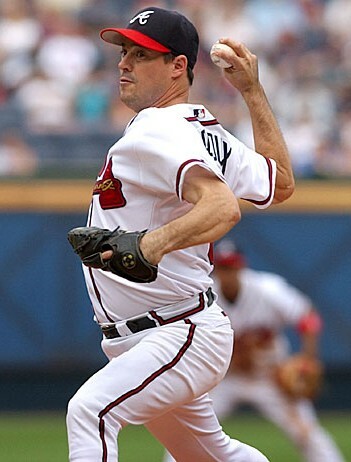 The righty went 20-11 with a 2.42 ERA in 2010, striking out 213 hitters over 230 1/3 innings of work. It was the second year in a row that Wainwright threw as many innings, leading the senior circuit with 233 in 2009. Durability didn’t even begin to speak for Wainwright’s value, but it was certainly a large part of it. Thousands upon thousands of words have been spilled in newspapers, internet reports, blogs, sports radio, television, and all forms of social media in an attempt to underscore Wainwright’s importance to the Cardinals’ playoff hopes. His loss will place pressure on veteran co-ace Chris Carpenter and 24-year-old lefty Jaime Garcia to carry their load and then some. The loss of Wainwright will also send the Cardinals scrambling for some sort of replacement, whether internal or via trade. It will be no easy task. Wainwright was the best pitcher not named Roy Halladay in the National League last season. No word yet on what exactly Cardinals GM John Mozeliak has planned, but he will do everything in his power to offset the loss and allow St. Louis to contend in what should be a very competitive NL Central race. With the exception of the Pirates, the rest of the division either supplemented their 2010 success with a few new cogs or completely rebuilt their roster with major additions. The Cardinals added some power in Lance Berkman, but that was done in mind of solidifying the middle of the order and helping put runs on the board for the likes of Wainwright, Carpenter et al. Now the rotation will be reliant on Carpenter and Garcia to anchor the front end, while Jake Westbrook and Kyle Lohse will have to step forward and do a little bit more than simply eat innings and keep the club in the game. Trade rumors have persisted regarding highly touted center fielder Colby Rasmus, who has not exactly meshed with manager Tony LaRussa. The jury is still out on Rasmus’ path to possible superstardom, but it’s hard to imagine the Cardinals selling low on a young impact bat simply to plug a hole in the rotation. A panic move won’t fix this problem. No overly exciting names are dangling on the free agent market and the trade market is often difficult to project. Still, Mozeliak will need to get creative. The time is now for the Cardinals to set the tone for the franchise this decade. In more ways than one. It’s not often that the best player in baseball gets to explore free agency in the prime of his career, but when the St. Louis Cardinals failed to come to terms on a contract extension with Albert Pujols by the slugger’s 11 a.m. CDT deadline on Wednesday, it became a very real possibility. Perhaps reality. As it continues to unfold, reports are indicating that the length of contract was not the biggest roadblock. Instead, all signs are pinning the inability to reach agreement on a difference of opinion over the annual salary figure. SI’s Jon Heyman tweeted that the Cardinals offered a 9-yr deal for more than $200 million, but exact details have been hard to come by thus far. This entire process brings up a rather interesting question: When you are negotiating with perhaps the best player of a generation, how do you set the market value? Pujols has done nothing but hit at the highest level in the game since bursting on the scene in 2001. He played left field and third base before settling in at first base, where he has captured three MVP awards and finished second on three other occasions. Pujols has also won five Silver Sluggers and added a pair of Gold Glove Awards to his ever-expanding trophy case. While the Cardinals will have an exclusive window to negotiate with Pujols following the season, it remains unclear just how much work is needed to bridge the gap between the two parties. One thing appears to be set in stone, Pujols is not interested in rekindling contract talks at any point between now and the end of the World Series. The only player to reach free agency possessing a skill set remotely close to Pujols is New York Yankees third baseman Alex Rodriguez. He was able to turn that trip through the employment line into the richest contract in all of baseball. Not once, but twice. When the Yankees inked the then-31-year-old Rodriguez to his current 10-year $275 million contract in December of 2007, many industry experts cited the obvious effect that it would have when it came time for Pujols to negotiate his next deal. Throughout this process, the A-Rod contract has been the rumored jumping off point for a deal between the Cardinals and Pujols. I would go into a long and exhaustive study of the numbers between the two, breaking down years of dominance and overall projections of greatness, but I think we can all surmise that both men are supremely talented generational talents. By the time they’ve played their last game, both Pujols and Rodriguez may very well be sitting in the Number 1 and Number 2 spots atop baseball’s all time home run list. The order may be the only question. Pujols has won three MVP awards in the National League, Rodriguez in the American League. Nine All-Star seasons for Pujols, 13 for Rodriguez. Silver Sluggers? Six for Pujols and 10 for Rodriguez. And, of course, two Gold Gloves for each man. Those are the kinds of résumés that some players can only dream of, and owners and general managers salivate over adding to their roster. There is absolutely no denying that Pujols’ trip to free agency may end up being the most notable and fascinating such case in baseball history. Stacking Pujols and Rodriguez side-by-side may be the only peer-to-peer comparison that is available in today’s game. However, the things that Pujols has accomplished in his first 10 seasons in the majors put him in a class all his own. The fact that he will be hitting free agency at roughly the same age as Rodriguez when he cashed in a 10-year deal to stay in the Bronx may suggest that the paths of these two sluggers will remain somewhat similar in yet another aspect. Pujols has been a stoic figure in Cardinals history despite having some rather large shoes to fill not long after breaking in. Following the retirement of St. Louis legend Ozzie Smith in 1996, Mark McGwire was the face of the franchise in the late 90s. All Big Mac did was break the single season home run record. Pujols was selected NL Rookie of the Year while playing with McGwire in 2001, a season which proved to be McGwire’s final curtain. For some franchises, the loss of such a prodigious power threat and box office attraction would be a crippling blow. Instead, Pujols stepped in seamlessly and has anchored the heart of the St. Louis order. In 2006, the Pujols-led Cardinals had just enough to capture the NL Central crown and went on to win the World Series. By that time, Pujols was already being anointed as the premier hitter in the game. True, some club could come along and offer Pujols a mountain of money to leave the only city he has called home. I would guess no less than half a dozen clubs would be willing to put big money offers out there in hopes of wooing him away from St. Louis. For some reason, I can’t help but feel the Los Angeles Angels of Anaheim, spurned numerous times by 2010 free agents, would be licking their proverbial chops to have a chance to offer Pujols a high-dollar long term deal to head West. Owner Arte Moreno has to be lying in wait, hoping he gets the chance to at least pull out the check book and make an offer. I can’t speak for Cardinals manager Tony LaRussa, who said the MLB Players Union may have been applying some pressure for Pujols to maximize his value and thereby gumming up the works as it were. That may be true. I somehow doubt that the union is needed to remind Pujols of exactly how valuable he is, and exactly how much money there is to be made in his next contract. That is exactly the kind of question that Pujols has vowed to avoid throughout Spring Training and all through the 2011 season. He was quite direct when addressing the media around midday in Jupiter, Florida, shortly after reporting to Cardinals camp on Wednesday. That sounds like a man who is pleased to let all of his talking be done on the field. Whatever the reason, maintaining a level of respect for the organization, limiting distractions for himself and/or his team, avoiding a media “zoo,” or simply letting nature run its course, Pujols has made up his mind. The negotiations are on a nine-month hiatus. The discord currently brewing behind the scenes between the Texas Rangers and their All-Star third baseman Michael Young could very well prove to be one of the more fascinating offseason storylines. One thing is for sure, the sordid details may not remain behind the scenes for much longer. Strong words from Young were reported late Monday. According to Evan Grant of the Dallas Morning News, Young made some very direct remarks to clear up any public misconception regarding the linking of his name to trade rumors. I’ll get to those in a moment. persist that the team was still actively shopping him. Those reports did not sit well with Young. Relationships between players and management can be bumpy in some cases, but this is the biggest verbal barb that I’ve heard a player slinging in the general direction of his current employer. Still, I have absolutely no doubt in my mind that there have been more epic rifts and much worse things said behind closed doors. However, this particular situation has spilled over into the public forum, and I’m hard pressed to say that it isn’t at least partly justified. While the Rangers are coming off their first trip to the World Series in franchise history, there is no question that they would like nothing more than to find their way back in 2011 and bring home the trophy this time around. It was to that end that they set about attempting to secure Cliff Lee to a very lucrative and long term contract this winter. When that didn’t work, it turned out that Plan B was to allow aging designated hitter Vladimir Guerrero to seek his fortunes elsewhere and bring one of the best available hitters on the free agent market into the fray. Unfortunately for Young, this is where things started to head south. The Rangers signed third baseman Adrian Beltre to a monster contract (six-years, $96 million) on January 5. It was on that day that you could consider my mind, much like Young’s, to be completely boggled. when Texas requested he do so. It turns out that the third time he was asked to move may have been strike three for Rangers management. man without a position. They still contend that the plan to use Young as a designated hitter and super utility infielder should not be seen by the player as a downgrade. To make matters more complicated for the Rangers, suitable options for a replacement DH are now somewhat limited after Guerrero signed with the Baltimore Orioles. has been decent, but nothing compared to his line at home (.322/.372/.487). The Rangers will have to offset the money owed to Young thanks to their now acrimonious relationship to make any deal work. In fairness, they would probably have had to do that before the falling out, but their current rift can’t be particularly good for leverage in trade talks. Colorado, or any interested team, may have to supply the Rangers with a suitable designated hitter. Young can block trades to all but eight teams, but If I had to guess, I’d put the Dodgers and Padres in the mix with the Rockies. There doesn’t seem to be one clear front runner. Is Andy Pettitte Hall Worthy? The Hall of Fame debate usually follows the retirement of a productive high profile player, particularly one who made his name with the New York Yankees. Such is the case with Andy Pettitte, a solid if unspectacular lefty who was an integral part of multiple World Series Championship clubs. Pettitte’s legacy and Cooperstown candidacy are bolstered immensely by his work in October and, on occasion, November. He retires with the most wins in postseason history. The fact that Pettitte appeared in the playoffs in all but three of his 16 seasons in the majors no doubt enhanced his ability to accumulate those 19 postseason victories, but that’s not the “enhancement” that will be under scrutiny. Make no mistake, Pettitte will have to buck a recent and growing trend of this generation’s stars who put up hall worthy numbers, yet will fail to gain admission to Cooperstown because of direct ties to or even the suspicion of performance enhancing drug use. We don’t have to debate the moral platitudes in Pettitte’s case. He admitted his use, and to his credit continued on with his life and career. Contrition may have earned points with some fans, but it’s unlikely to lessen the impact that his outright admission will have on hall voters. The next chapter appears to be Pettitte’s participation in what is sure to be the very public legal drama involving his friend Roger Clemens. We’ll table that discussion for now. To be frank, I don’t believe Pettitte’s regular season numbers warrant his entry. I’m further more not convinced that his postseason numbers are enough to make up the difference in Hall of Fame credentials, or to erase the damage done by his admission of PED use. Coming clean to some extent, while it does not erase the transgressions against the game, afforded Pettitte an opportunity to reconcile with fans. Baseball writers will not be so forgiving when they fill out their ballots in five years. I’d like to take this argument outside of that dreaded acronym (PED) for a bit, to look solely at Pettitte’s body of work. In other words, let’s look at the numbers and the accolades that made him a very successful pitcher for 16 seasons in the major leagues. Pettitte is the first member of the vaunted Yankees “Core Four” – with Derek Jeter, Mariano Rivera, and Jorge Posada – to retire. Those four players were the only men who were members of New York’s five World Series Championship Teams since 1996. Today, pitchers who pile up postseason victories in bunches have a distinct advantage over those who pitched solely in the World Series (pre-1969). The expanded playoff format, which will likely swell again within the next two years, means that a pitcher could make between six and eight starts between LDS, LCS, and Word Series play. Despite career numbers that are very solid by most standards, Pettitte is still not the greatest left-hander in Yankees history. Whitey Ford holds that distinction. Ron Guidry and Lefty Gomez would have to be thrown in the mix as well. Pettitte sits high on the Yankee wins list, trailing only Ford and Red Ruffing for most victories in franchise history. In fact, Pettitte is one of just three pitchers in franchise history to reach 200 career wins. If you look up and down the Yankees pitching leaders, you’ll find that Pettitte’s name appears behind Ford numerous times. It’s not merely the statistical comparison of the two that led me to bring Ford into the Pettitte discussion. There are some that regard the Yankee’s original lefty legend as a borderline Hall of Famer. Perhaps it was Ford’s failure to reach the 300-win plateau, or the fact that he only had only one Cy Young Award. In fairness, Ford lost two seasons to military service and made just 16 starts combined in the final two years of his career. Ford’s career 55.3 WAR (Wins Above Replacement) is better than Sandy Koufax (54.5), so it’s possible to make the stats – newfangled or not – say what you want them to. The Hall debate always brings out the best in statistical maneuvering. Putting both stats and Yankee legends aside to look at awards and accomplishments, it’s pretty clear that at no time during his career was Pettitte ever considered the best pitcher in baseball. He received Cy Young votes in five different seasons. His highest finish came in just his second in the Bronx (1996), but he also finished fourth (2000), fifth on two occasions (1997, 2005), and sixth (2003) as well. It surprised me to see that he was selected to just three All-Star teams. I’m not one who enjoys playing this game, but the number of “if-then” scenarios that would spring up in newspaper articles and in the internet community would dwarf those brought about any time that the name Bert Blyleven is mentioned. The candidacy of Jack Morris, whose ERA of 3.90 is just .02 runs higher than Pettitte’s career mark would gain a new lease on life. In my mind, the discussion would have to expand well beyond just the Morris case, and include guys like Tommy John, Jim Kaat and Dennis Martinez. None of whom are immediately seen as Hall worthy candidates in and of themselves, and I’m not saying I support the “if-then” philosophy of awarding spots in Cooperstown for reasons other than individual merit. One would have to look at contributions to the game, right? If so, John was on the cutting edge of a career-saving medical procedure that now carries his name. He came back better than he was before the surgery and won 288 games over 26 seasons. Kaat was a 283 game winner who claimed 16 consecutive Gold Glove Awards, transitioned into broadcasting and has been a distinguished member of the baseball community for five decades now. Martinez is the top winner (245) in baseball history among all Latin American pitchers. Are those things not indicative of some high level of contribution? None of those men I just mentioned have their names attached to PED’s, which will almost certainly be enough to keep Pettitte out. The Hall of Fame discussion often times degenerates into a Hall of Numbers debate, but the statistics aren’t everything and “fame” is a relative term. Would anyone ever say that Pete Rose is the worst player with 4,000 career hits? While it is an absolutely ridiculous argument, it is true. That Ty Cobb guy accomplished a few more things than Rose. Still, this entire line of discussion isn’t really worth pursuing any further. What should we take away from the Pettitte Hall of Fame discussion? Based on recent voting patterns and my gut instinct, while he was an outstanding pitcher who contributed to the success of the modern day Yankee dynasty, Pettitte will likely never receive his bronze plaque in Cooperstown. He was on multiple World Series winners and got paid quite handsomely. That may have to be all the reward baseball has to give in this case. Who knows, maybe we haven’t seen Andy Pettitte take the mound for the last time. After all, “retirement” is another relative term these days. Consider this a rechristening of my little unit in the MLBlogosphere. So, if you came here looking for baseball content to pass the time, bear with me for this one entry. Just like Greg Maddux did so frequently, I’m about to throw you a changeup. This has and always will be an Atlanta Braves blog at heart, but it has struck me lately that many of my entry ideas over the past year have had little or nothing to do with the Braves. That’s usually where my inspiration would ultimately yield an extremely unfulfilling “wait-till-later” verdict. With that in mind, I began to wonder if I should just change some things around and update the look and feel of this blog in order to stir my creative process. Perhaps it will take some of the self-imposed restrictions off and allow for a wider range of baseball content. I guess we will find out together. I decided to go with a more MLB-centric layout to get things started. Then, in a somewhat painful move, I decided to put my original blog name (“A ‘Braves’ New World”) into storage in favor of a more middle of the road baseball colloquialism. As some of you may or may not know, my baseball career has allowed me the incredible opportunity to work in both the Atlanta Braves and Tampa Bay Rays organizations. I spent the first four years with the Atlanta Braves Radio Network, working in production, writing and reporting. Currently, I’m preparing for my third season as the play-by-play broadcaster for Tampa Bay’s High-A affiliate, the Charlotte Stone Crabs. Despite spending the majority of the season in the Florida State League, there are still times when it would certainly be nice to delve back into Major League topics. Hopefully, this rebranding will pave the way for a variety of baseball musings over the course of 2011. Only 10 days until pitchers and catchers report!